Features Fixed, Two Column, Black, Right Sidebar, Elegant, Slider. 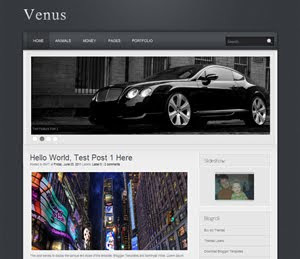 Descriptions Venus is free blogger templates with elegant design, very good for blog related about business. Black is main color for this blogger templates, compatible on all browser, premium style, Nivo jQuery for slider, all jQuery on one folder and themes support is some feature for this blogger templates.